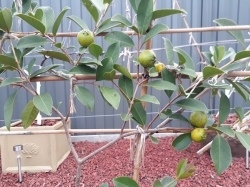 I've grown several mango trees in Melbourne from pip - one is about 8 years old and now in the ground, has produced one season of fruit (keeping two mangoes from an abundance of flowers). The one pictured is indoors in a pot and has done well - although the last few weeks have seen significant browning of a number of leaves. There donn't seem to be any insects present nor spores - it's a bit like the leaves have dried out. Would be grateful if someone could identify the issue and/or suggest a treatment! 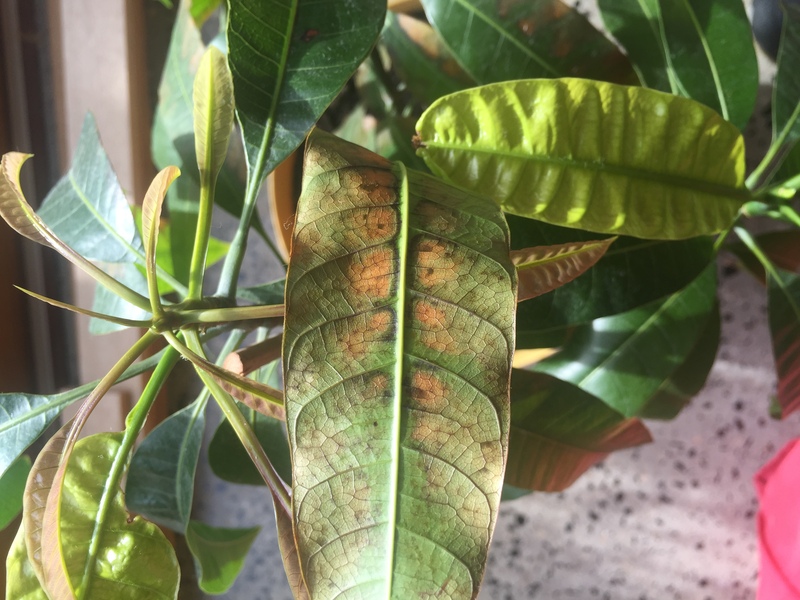 If there is no visible sign of insects (some are microscopic like spider mites etc) and its not expose to direct sun, the only possible coz is fertilizer burn due to salt or chloride accumulation on the leaves. During winter we water less hence the accumulated salt from the potting mix could not drain away from the pot due to less watering unlike during the growing season we let the water drain away from the pot to wash away dangerous levels of salt from the fert or chloride from the water. The usual solution is to water the plant profusely outdoors to drain away the excess salt or chloride. Better still use rain water coz its devoid of harmful chems to plants. Thanks Fruitylicious1 - This sounds right as I had added some fertiliser last time I repotted! I have since repotted with fresh soil and it seems to have halted the spread. 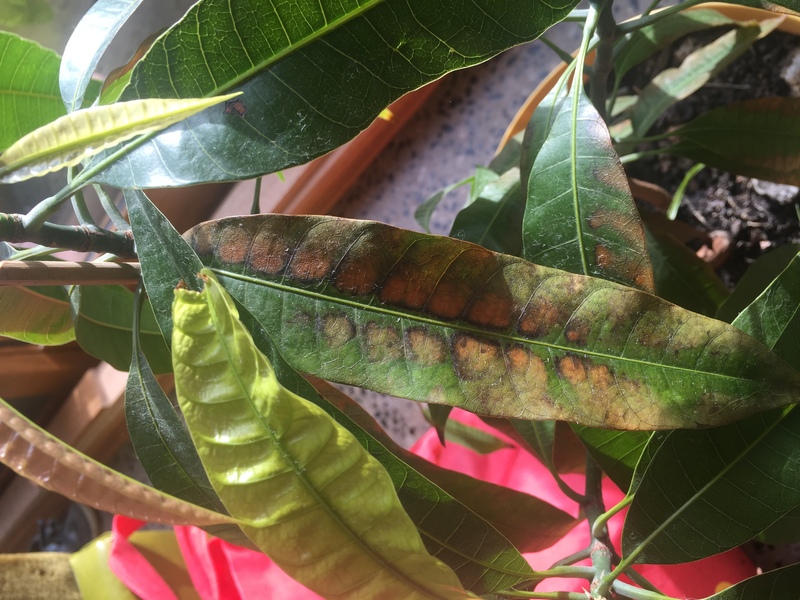 I've had spider mites on my mango trees in the past, but not in this instance - although about the time I repotted it seemed to have been attacked by aphids. After cleaning them off and a couple of treatments with white oil the tree seems to be back on track. It seems really interesting but can I know its procedure? Because I am not getting it.